2019 winter has arrived! Ice in and safe travelling. 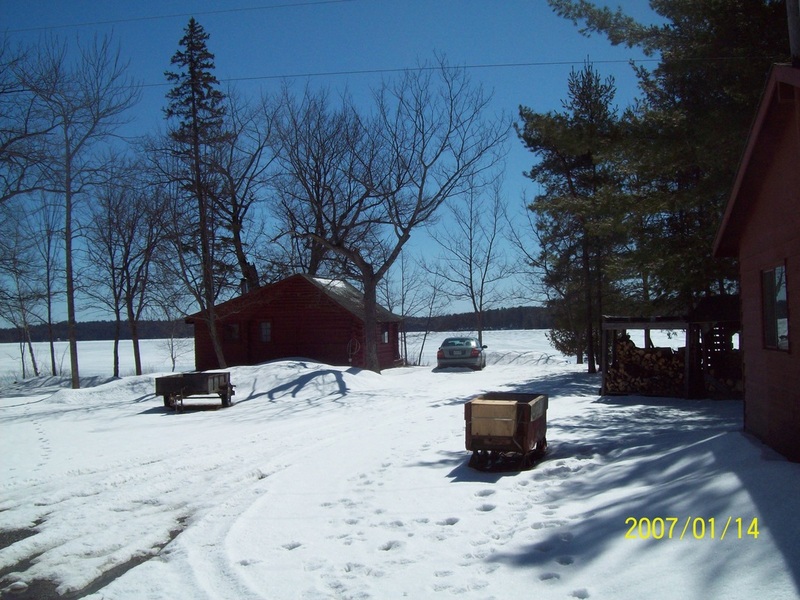 All of the ice fishing huts are out and ready for our first ice fishing guests to arrive this Fri. Jan 11. 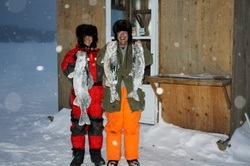 Jan 11 first a 10 pound pickerel then 20 min later a 10 pound lake trout. I really thought that ice out would be @ a normal date. What is normal as far as the weather goes now a days? 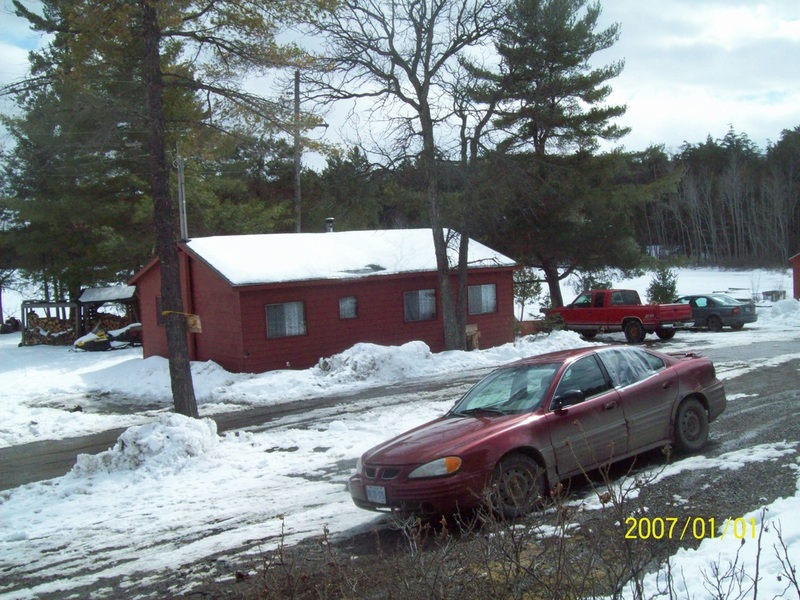 We still have 18 inches of ice on the Lake and 8 feet of piled up snow on the camp grounds. 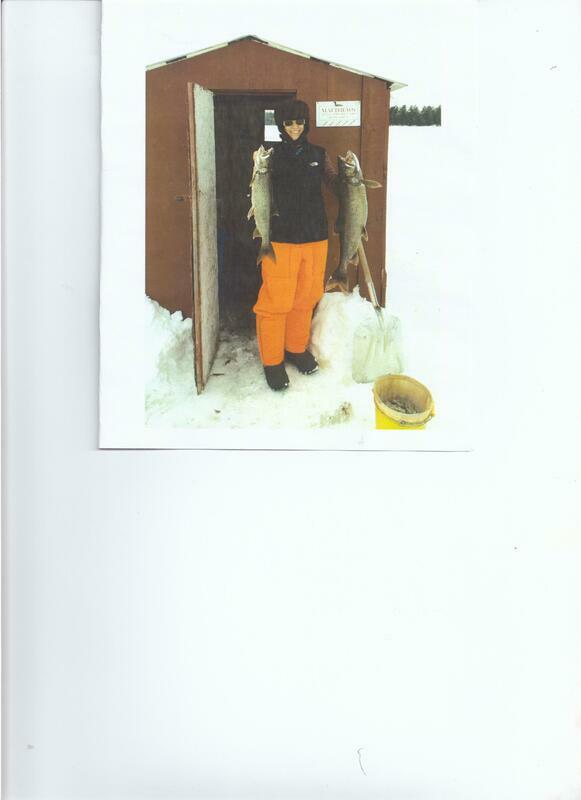 Ice out is part of the early Lake trout fishing enthusiast. 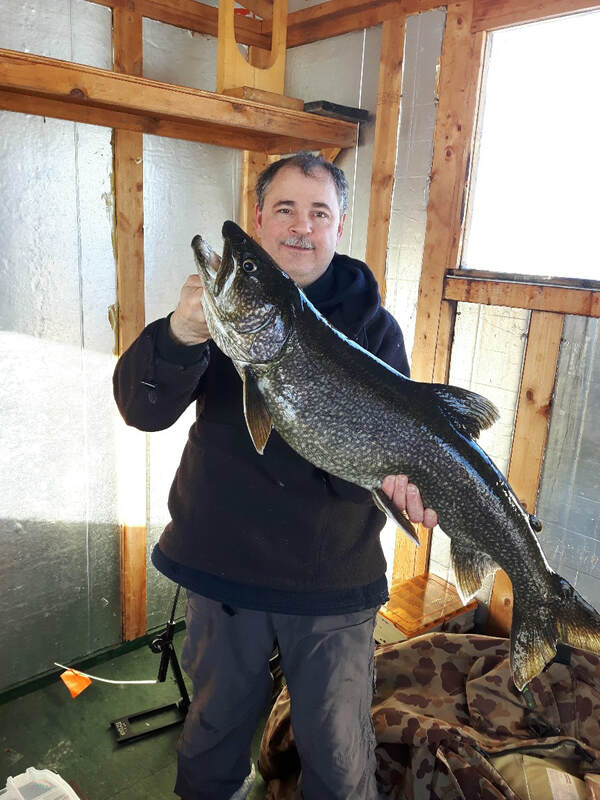 Early spring lake trout fishing is always productive. Close to shore trolling /downrigging after first ice out has proven to be very successful. ​ The weather has been comfortable except for last weekend. The fishing & my Guests have been great. As usual the "Catching could stand a little touch up. We only have 4 more weekends to go. 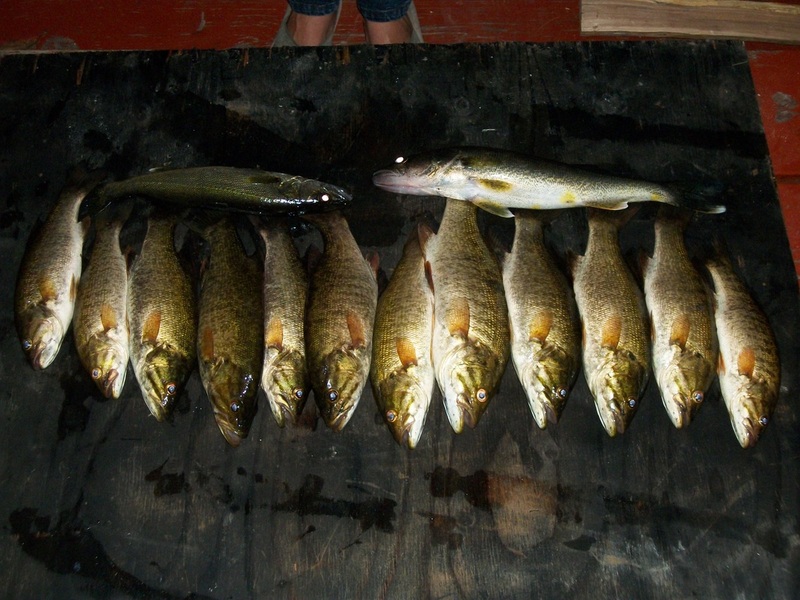 The spring of 2015 spring pickerel fishing has arrived. The Sag Lake Pickerel Hatchery has another 1 million pickerel eggs incubating to be released approx May 16. 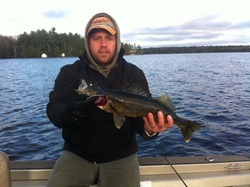 That will make 32 million pickerel that the hatchery has introduced into the waters of Lake Me Me Sagamesing! What has been been happening @ MLPC since May 16 ?? 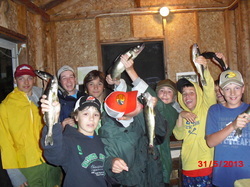 The year class of 2011 1 million pickerel are coming back to the frying pan . just the right size before the release size. Another thing to check out is my Matthews Little Portage Camp Face Book Page . This is what "catching" is all about. The " Why" part of fishing has taken a turn for the better. Catching is now a part & parcel of fishing as of yesterday. My guests had them cleaned & ready for their first fish fry since arriving on Thurs. 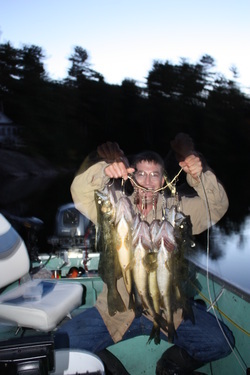 After putting 32 million pickerel fry into the waters of Lake Me Me Sagamesing for the last 32 years that this spring in particular the pickerel don't want to "BITE"
That's what you can call "CATCHING"
Due to some unexpected Cottage Cancellations !! 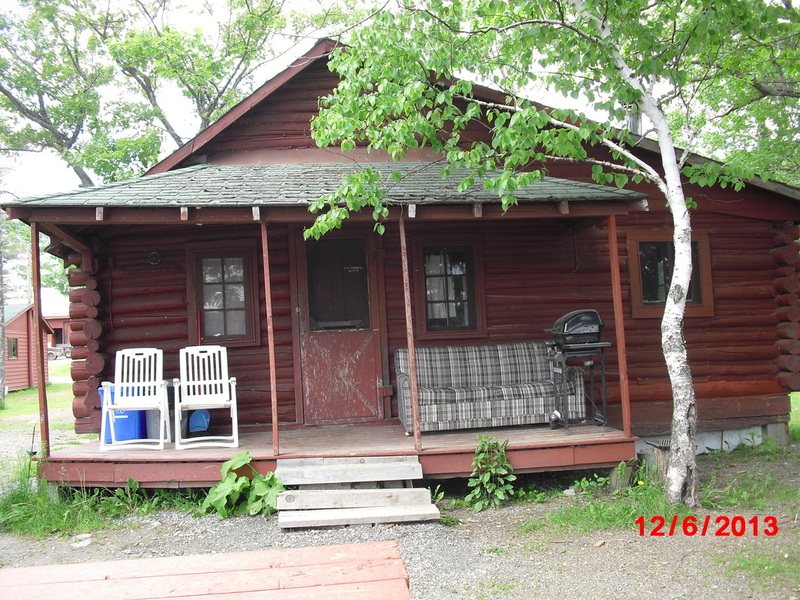 There are several Cottages during different dates available this summer. One in particular is the all time favourite #6 " Log Cabin"
The "Catching" will get back to normal. Bass season is just around the corner . That's when the "Catching " becomes more realistic. Sometimes called the "no brainer fish "
The winter of 2014 will long be remembered as an old fashion winter. Lots of snow ,lots of real cold tempertures too much wind. The winter ice fishing clientèle has increased to the point that I had no time to get out on the Trap Line. 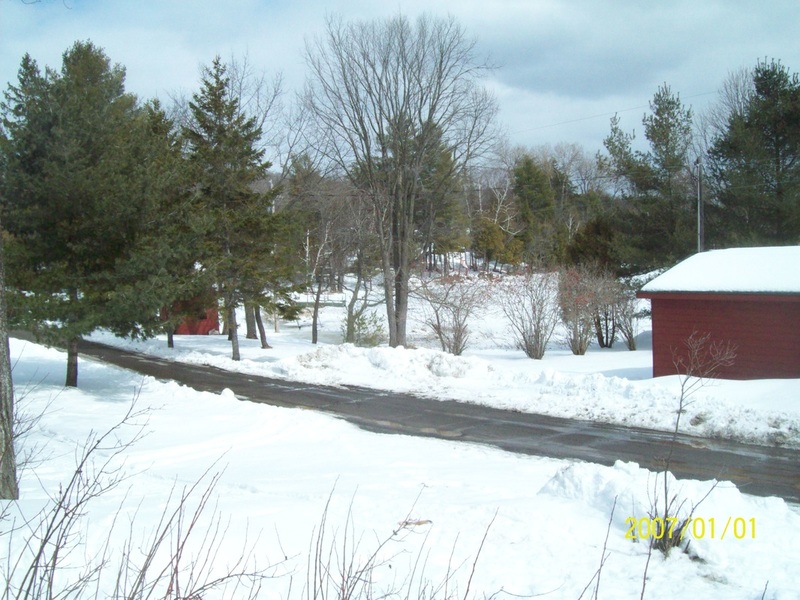 Come Feb 15 I pulled all the fish huts off . Since then I have being on the trap line every day. The spring of 2017 is just around the corner.we have a lot of dock repair to do due to the severe ice push to wards the south. 21 dqys later we release the day old fry . Then come Sat May 20 we start catching the ones we set free 3 years ago.. 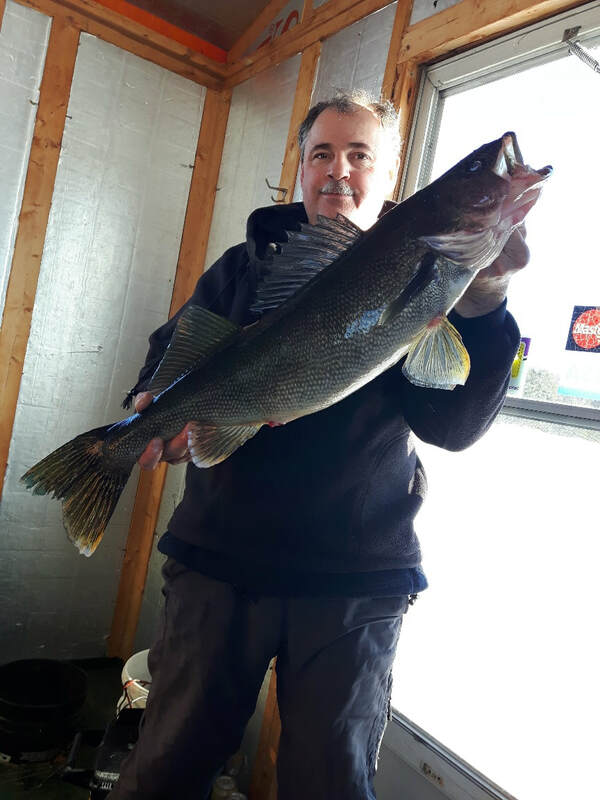 The 2016 winter ice fishing season got off to a very slow start due to lack of ice thickness The first weekend Jan 22 has come & gone. Fishing was good but results (catching ) were poor. Hoping /wishing for a better "catching "this weekend coming. Summer is almost past us. Where has it gone?